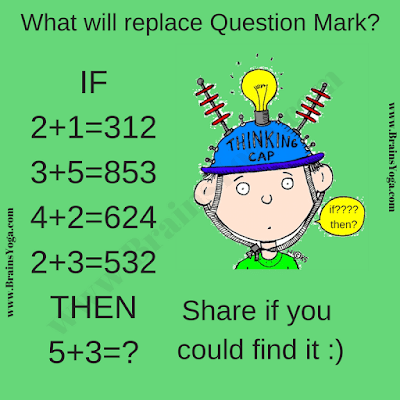 Fun With Puzzles Brain Teasers Logic Puzzles Logic Questions Math Questions Maths Logic Puzzles Puzzles Can you crack this Logical Puzzle? Can you crack this Logical Puzzle? 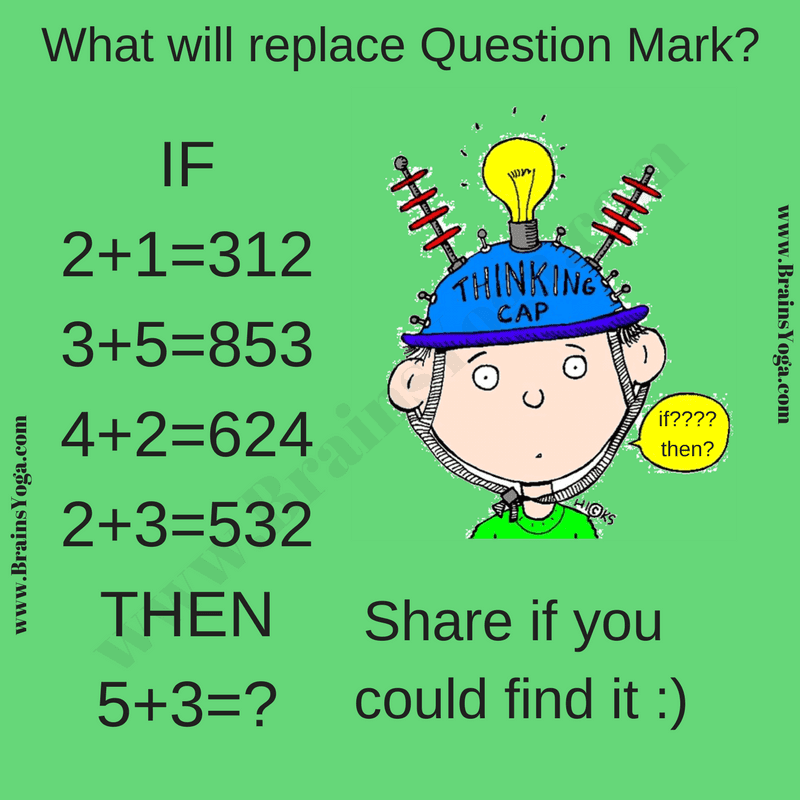 Here is time to put your thinking cap and solve this logical puzzle. In this logical puzzle, many equations are given which are incorrect Mathematical but these equations are very much correct if looked at a logical angle. Can you find the logical pattern for these equations and then crack the last equation as quickly as possible? The Answer is 835. It is sum of numbers and then second and first number written in succession.